Windows 7 Service Pack 1 is now available for the general public at the Microsoft Download Center. You should soon be able to see it being offered in your Windows Update too. Windows 7 SP1 may not be yet available for you in your market. Run Windows Update and see if it appears. Be patient. it will appear in a day or two. Either Windows SP1 is already installed or a pre-release version of Windows 7 SP1 has not yet been uninstalled. Another update, eg Windows Update KB2454826, has to be installed before Windows 7 SP1 will be available. A program on your computer, eg SafeCentral, is preventing Windows 7 SP1 from being installed. If you have used vLite to customize your Windows 7 installation, you could face a problem too. Certain Intel drivers are also know to create problems. System files that are required to install Windows 7 SP1 are missing from your computer or damaged. Run system file checker and see if it helps. In case installing SP1 from Windows Updates does not work for you or if you still don’t see it in your Windows Updates, try downloading it directly from Microsoft and then installing it. According to some reports, attempting to install Service Pack 1 RTM on top of Windows 7 or Windows Server 2008 R2 can produce the following error message: 0x800F0A12 accompanying the failure of the deployment process. Microsoft explained that the exception is caused because the SP1 RTM installer finds it impossible to access the system partition that Windows 7 and Windows Server 2008 R2 build. No access to this portion of the HDD means that the files contained cannot be upgraded with the new resources featured by Service Pack 1. By default, during installation, both Windows 7 and its server counterpart create a 200 MB system partition on the hard drive, which is not accessible through Windows Explorer. However, both platforms can still leverage the system partition even though end users cannot browse its contents. Microsoft explains that there are a few reasons why this area of the HDD can become inaccessible, leading to such issues as SP1 RTM installation error 0x800F0A12. “•The system partition isn’t automatically mounted, or made accessible to Windows, during startup. “•A hard disk containing the system partition was removed prior to beginning SP1 installation. “•Windows is running on a storage area network (SAN), and access to the system partition has been disabled. fix for this problem. For example, they can mount the system partition themselves by firing up Command Prompt with administrative rights, and entering the following command: mountvol /E. Of course, in scenarios in which the HDD with the system partition has been removed, customers will need to return the hardware in order for SP1 RTM to take advantage of the system partition. Microsoft advices those running Windows from a SAN to visit the SAN manufacturer’s support website, or to ask the company directly for guidance on how to access the system partition. “If a disk management tool from another software manufacturer was used to copy (sometimes called clone) disks or partitions on your computer, the SP1 installer might not be able to identify the correct system files. “Turn off your computer and physically disconnect any external disks or drives that aren’t required for starting Windows. Turn on your computer, and then try installing SP1 again,” the company noted. Windows 7’s new Libraries features is one of the biggest changes to Microsoft’s latest client OS, and while their use doesn’t require a major rethinking compared to the previous scheme of physical and special shell folders, there are indeed some interesting and unique wrinkles to libraries. This week, I’d like to provide some pointers for getting the most out of libraries. As a refresher, libraries replace the old special shell folders from previous Windows versions–My Documents, My Pictures, My Music, and so on–with virtual folders that work much like physical (i.e. “normal”) folders but offer additional features. The key differentiator between libraries and folders is that libraries are not containers like physical folders that map to a single location in the file system. Instead, they aggregate content from multiple folders, providing a single view of all that data in a single place. If you’re familiar with how relational databases work, then this comparison might make sense to you: In database-speak, physical folders are like SQL tables, because they contain data. You can filter and sort that data in different ways, but the data you see will always encompass only that single location. Libraries, meanwhile, are like SQL views: They provide a more malleable way to view data, often from multiple locations, all in a single place. The data you see in a view could come from two or more tables, just as the data you see in a library could come from two or more folders. 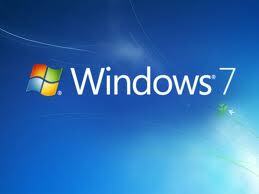 By default, Windows 7 includes four libraries: Documents, Music, Pictures, and Videos. And each of these libraries, by default, displays content from two locations, one in your own user profile, and one in the Public user profile. So the Documents library is an aggregated view of My Documents and Public Documents, Music is an aggregated view of My Music and Public Music, and so on. You don’t have to accept these defaults however. In each case, you can add additional folders to the mix and, just as important, you can also remove folders from the library view. To do so, open Windows Explorer and navigate to the library you wish to edit; I’ll use the Documents library in this example. (In Windows 7, new Explorer windows open with the Libraries view, and libraries are available from the Navigation pane.) Then, click the Locations link, which can be found under the Documents library heading and will read “2 locations” by default. When you do so, the Document Library Locations window opens. Add and remove library locations. If you don’t want to utilize one of the default library locations, you can remove that folder from the list of locations. For example, you may not care about the Public Documents folder, as I don’t. So you can select it and then click the Remove button. To add a location, click the Add button. A standard File Open dialog will appear, allowing you to navigate through the file system, including to network-based locations. Libraries are visually differentiated from physical folders by a small header that includes the name of the library (i.e. Documents library), a Locations link, and, on the right, a set of unique Arrange by options. These Arrange by options are not available in standard folder views and they can be quite interesting, especially for highly visual content like pictures. If you’re a real power user, you’ll recognize this as the Stacks interface that debuted quietly in Windows Vista, which did include virtual folder technologies, but not in an obvious way. Stacks are visual representations of a query, essentially, an in the above figure what you’re seeing is a Pictures library sorted by month. You aren’t stuck with the libraries that God, er ah, Microsoft gave you. That’s because Windows 7 lets you create your own libraries. The reasons you might do so are many, but one possibility is a project you’re working on–perhaps a book like “Windows Phone Secrets”–that needs files from multiple places on your PC and, perhaps, your home network. To create a new library, navigate to the Libraries view in Windows Explorer (or just open a new Explorer window). Then, right-click a blank spot in the window (or, the Libraries node in the Navigation pane) and choose New and then Library. A new library icon will appear with the name, New Library, highlighted so you can rename it. Do so. If you attempt to open the library, you’ll be told that it has no included folders to display. So click the Include a folder button to display a File Open dialog you can use to navigate to the correct location. Once that’s complete, you’ll receive a standard library view, and you can use the Locations link to add and remove location, determine the default save location, and so on. Note that custom libraries can be shared on a homegroup, just like regular libraries. And some applications–notably the latest versions of the Zune PC software–can add their own libraries. (In the case of Zune, a new Podcasts library is added.) If you delete a custom library, none of the content it aggregates is deleted, just the library file. Finally, if you’ve mucked around with your libraries too much and wish to return them to their default state, you can do so by right-clicking the Libraries node in Windows Explorer and choosing “Restore default libraries.” This will not affect any custom libraries you’ve created, but it will return your Documents, Music, Pictures, and Videos libraries to their default states, with two locations and the default save locations. Windows Media Center is one of the most innovative and entertaining technologies Microsoft has ever added to Windows. Essentially a wonderful, remote control-accessible (“ten foot”) front end to all of your digital media content, Windows Media Center helps you enjoy live and recorded TV shows, and digital videos, photos, and music. Media Center is equally at home in your living room or bedroom as it is in the home office, or on a laptop during a cross-country flight. And in Windows 7, the Media Center environment has been evolved with added functionality and an improved user interface. It’s also been made available in more versions of the operating system instead of just one or two as it was with Windows XP and Vista. Thus, it will reach a far wider audience than it did previously. Despite this, Media Center remains a hidden gem, of sorts. Few users utilize this nice interface, and even fewer use it for its original purpose of watching live and recorded TV shows. The reason is simple: Setting up Media Center to record TV shows is complex and time consuming, and can be unreliable. And few people have the required TV tuner hardware, or the patience, to make this exercise worthwhile. Fortunately, you don’t have to connect your PC to your cable box to enjoy TV and other video content. In addition to working ably with your own digital videos, and with some third party services like CinemaNow and Amazon On Demand, Media Center provides access to a number of other TV and TV-like services that give you a taste of what this environment has to offer. Two of my favorites are Internet TV and Netflix. Once Internet TV is up and running, you can access it in two ways. In the TV menu on the Media Center home screen, you’ll see a new Internet TV option. Or, you can simply click Guide instead to bring up the normal Media Center program guide; the Internet TV “channels” are available right at the top. Internet TV provides access to full shows, both new and old, as well as TV show clips. The quality is good at best–it’s your basic video streaming, after all–but some of the content is decent. I’ve lost more than a few hours watching some full episodes from the original Star Trek series, for example. Internet TV can’t give Hulu or even YouTube a run for their money, but then neither are integrated into Media Center, at least not yet. For now, Internet TV provides decent and free TV content that anyone can enjoy: All you need is Media Center and an Internet connection. If you’re a Netflix subscriber, you’ve probably heard of the Netflix Instant Queue, which augments the service’s traditional DVD rental offering with Internet-based streaming of TV shows and movies; it comes free with any Netflix subscription, including the low-end, one-movie-at-a-time version, and can be accessed from the web, from dedicated set-top boxes (Roku), video game machines (Xbox 360, PS3, and Wii), and from other devices, including some Blu-Ray players. You can also access Netflix from Media Center, and this is a nice interface for doing so. Like Internet TV, Netflix will need to be installed first. (It will be advertised in the Movies menu.) Once that’s up and running, logon to your account and you can access your Instant Queue, DVD Queue, and a number of related views, including movie recommendations. The nice thing about the Netflix interface in Media Center is that you can manage your queues too. As you watch content in the Instant Queue, you can delete it directly from this interface, and you can browse DVDs, add them to your queue, and reorder items as you like. Netflix isn’t free, but the service’s Instant Queue feature has grown into an excellent reason to subscribe. I’ve heard complaints that much of this content is older, but that’s changing too, and there’s now a lot of decent content in there, and it’s getting better all the time. … then here are a few trouble-shooting steps you may want to try out! This issue occurs when the spanned migration store files are not in the same location, or the spanned migration store is corrupted. To do so, Open Computer folder and in the Search Computer box, type *.mig* and hit Enter. Note the location of all files that have a *.mig extension such as *.mig, *.mig01, and so on. – Select a folder in the migration store. – Select all the *.mig files that are listed in the Search Results window and that are not in the migration folder and copy-paste them in the selected folder. Try to run Windows Easy Transfer again. If it doesnt help, try to copy the migration store files to another location. To do so, right-click an empty area of your desktop, point to New, and then click Folder. Name the folder Migration Temp, and press Enter. Now open Computer folder and again search for *.mig* files. Copy-paste all these files into the newly created Migration Temp folder on your desktop. Now run Windows Easy Transfer, and point to the Migration Temp folder location when you transfer files and settings to the computer.